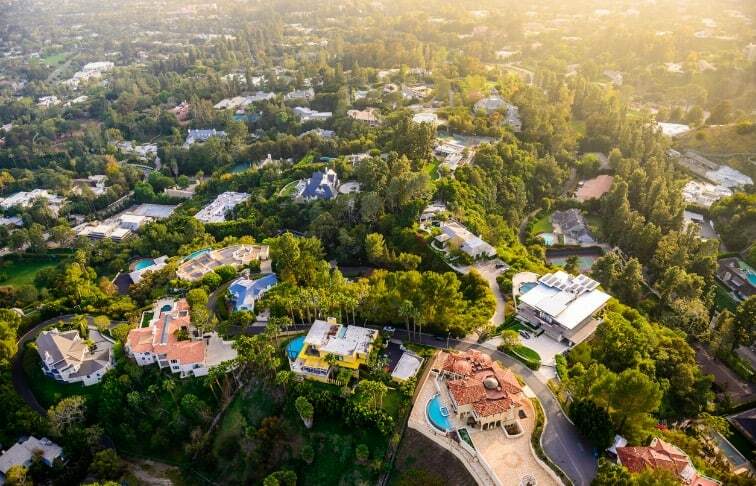 If gloomy rumors about the luxury real estate market have you nervous about what might be coming next, the latest data could come as a welcome relief. Statistics from The Institute for Luxury Home Marketing’s monthly Luxury Market Report tell a different story about what’s happening in luxury home sales. While the overall market has slowed since 2017, this is in relation to the past 10 years of incredible buyer demand. Statistics show that increased inventory might be the reason the balance is shifting from a seller’s to a buyer’s market. Here are a few reasons why the luxury market might be more stable than you think. As we transition from winter to spring you can expect to see more inventory on the market. Why? There will still be inventory remaining in winter destinations and new inventory coming on the market in anticipation of the spring rush. The Luxury Market Report shows inventory levels over the last 13 months fluctuating by about 8,900 units, but nothing that is out of character for these expected seasonal shifts. As you compare the big picture over the last 13 months you’ll notice similar trends. While numbers from this February might be considerably different than statistics gathered in the summer months, they’re not terribly different from last February’s numbers. Understanding these macro, big-picture shifts gives you more tools to be able to predict what is to come in the luxury housing market. Median price points are a strong statistic to review when trying to determine if the market is normal or experiencing a strong fluctuation, and one should also put time into comparing the gap between listing and sale prices. Data from the February 2019 Luxury Market Report shows the median luxury threshold price for single family homes is $1,000,000, and the median luxury home sales price is $1,396,250. This represents a decrease of about $20,000 from January but nothing drastically out of line with the way the market has been fluctuating in the past 13 months. At the same time, the gap between the list price and the sales price for single-family homes is widening. The median list price in February 2019 was $1,692,000. Those figures indicate that homes are now selling for an average of about 96.88 percent of the list price. The statistic “days on market” refers to measures the number of days a home is available on the market before a purchase offer is accepted. Information regarding the days on market is helpful to show you what the demand is in a certain area and if homes are priced correctly for the market. For the same data set above, single family homes, there was an average of 63 days recorded on the market in February 2019. This is about the same number as February 2018, which recorded an average of 67 days on market before a sale. These statistics show that rather than experiencing a downturn, the market is staying relatively consistent. There is an increasing amount of inventory which is causing a shift from a seller’s to a buyer’s market, and there are political and economic factors driving change, but so far the market has maintained normalcy. Instead of guessing about what’s coming next for the market or listening to pundits hypothesize, you have the advantage of being able to see monthly data through the Luxury Market Report on cities throughout North America and what’s happening on a national level. This information can show true trends, not just guesses. A numbers-backed approach can help you create a strategy for buying or selling that really gets your client the best deal possible in the current environment. This article is contributed by The Institute for Luxury Home Marketing. The Institute for Luxury Home Marketing is the premier independent authority in training and designation for real estate agents working in the luxury residential market. The Institute offers the Certified Luxury Home Marketing Specialist (CLHMS) designation for luxury home marketing, conducts research in the high-end market, and is the official luxury training provider for many distinguished international brands. For more information as well as key facts and figures about the current state of the luxury market, click here to check out our digital Luxury Market Report for North America.